Appreciation of art for kids: Four beautiful board books from the best-selling Mini Masters series, all packed in a colorful box. 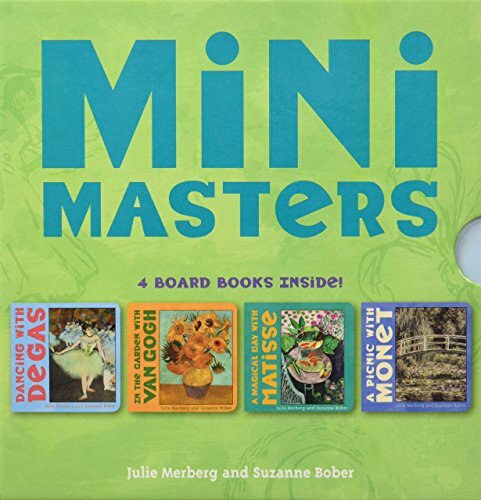 The perfect art book for kids and toddlers: Julie Merberg's Mini Masters Boxed Set pairs art by a master with simple and rhythmic text that will enchant your child. If you and you child liked other Chronicle books such as the New York Times best seller, They All Saw a Cat, you will love the Mini Masters Boxed Set.